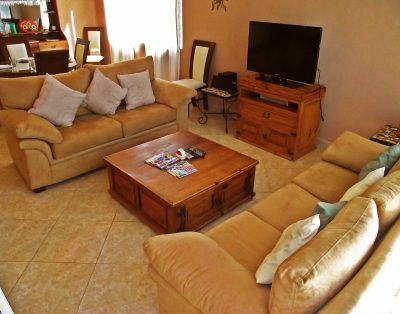 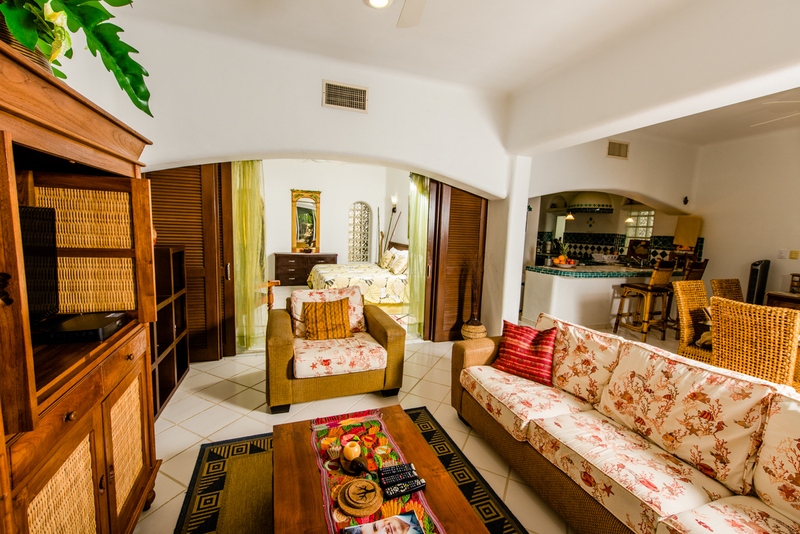 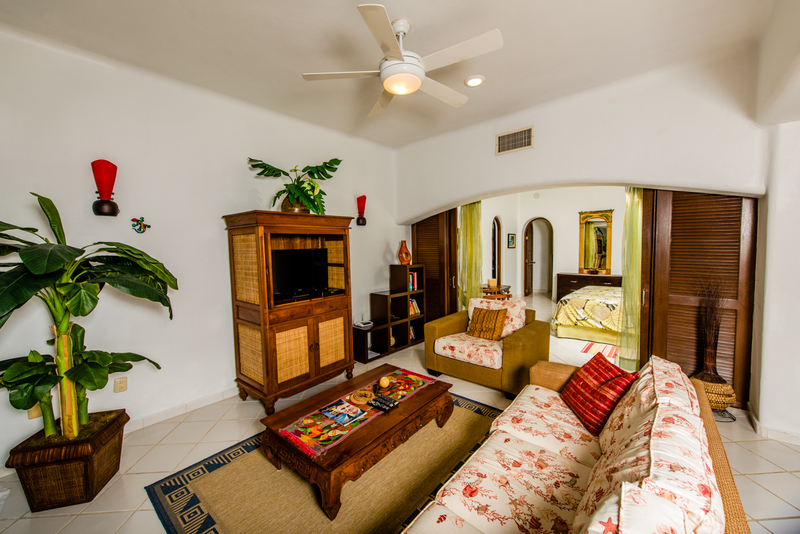 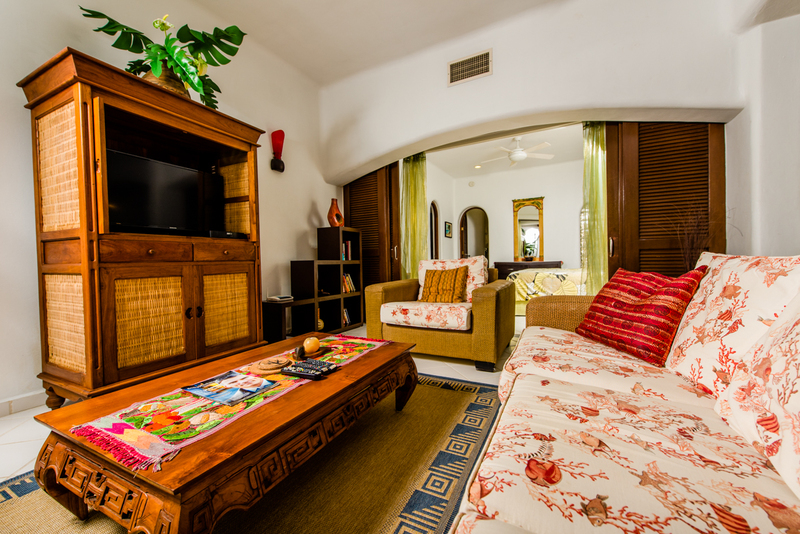 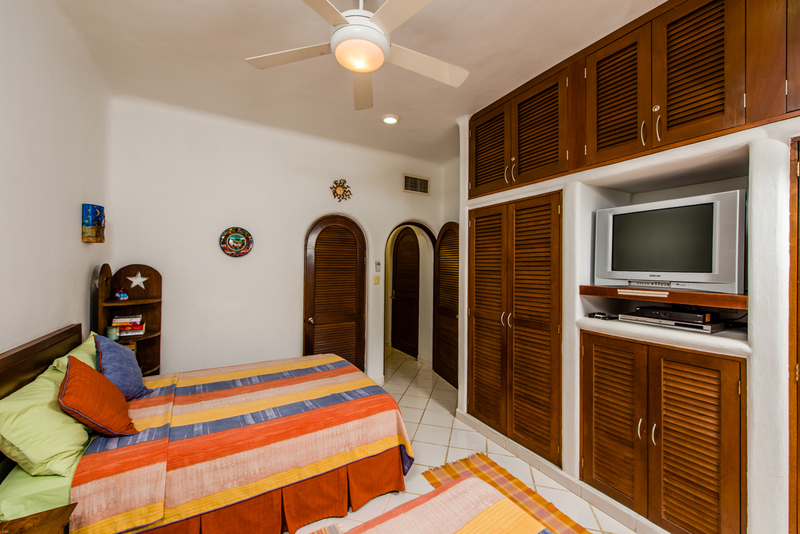 This recently constructed, luxury two-bedroom ground level condo is the perfect place to enjoy your stay on this paradise called the Mayan Riviera. 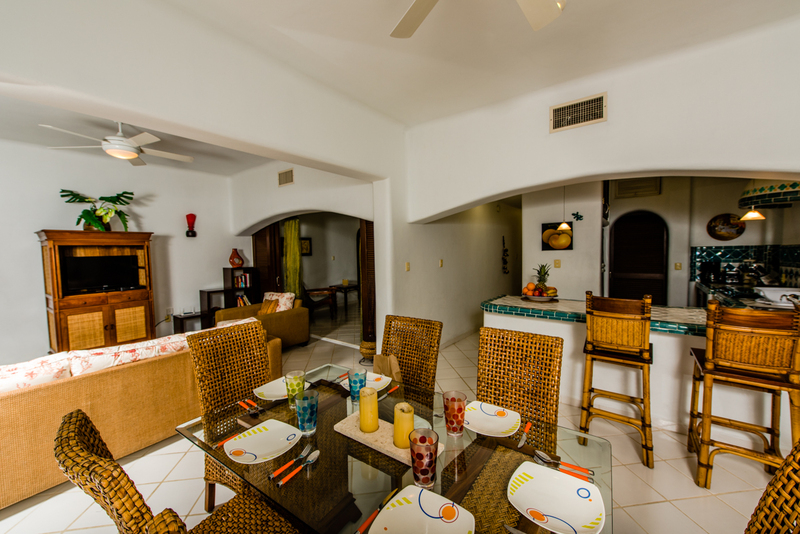 The spacious living/dining room, with wall-to-wall and floor-to-ceiling sliding glass doors, opens to a private stone patio, with a garden and a rock waterfall. 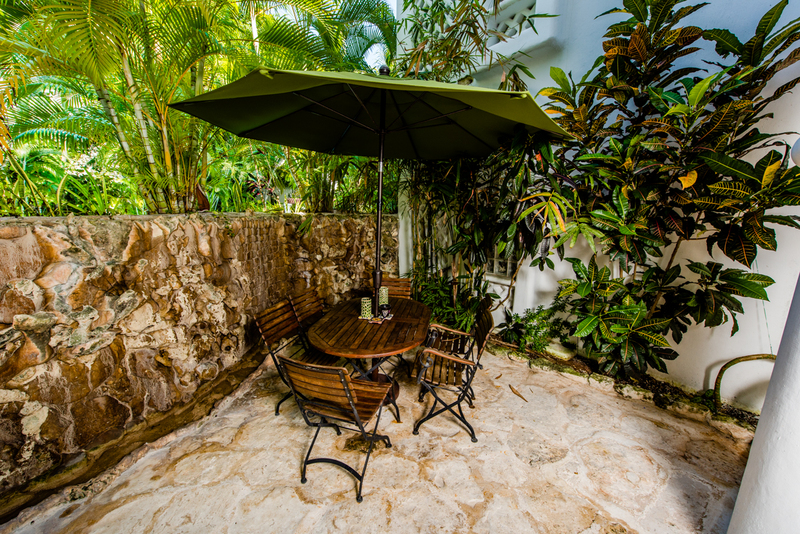 Walk out of the patio area and you are immediately in front of a beautiful fresh water pool. 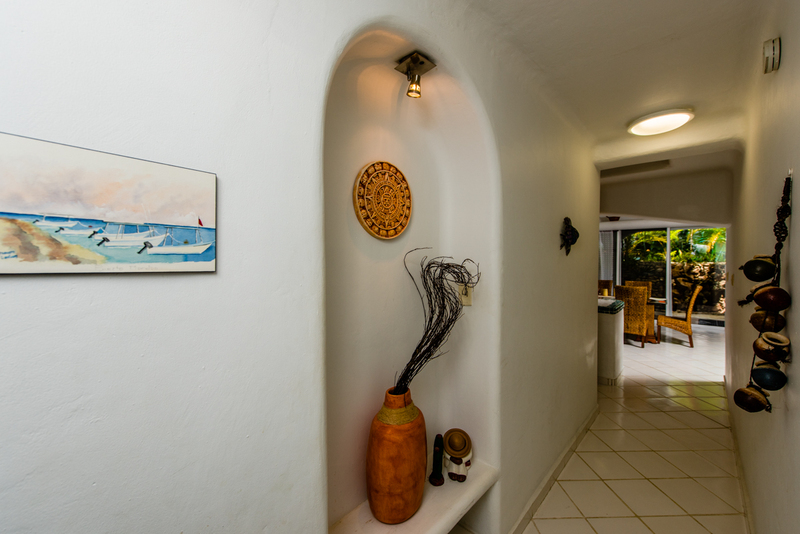 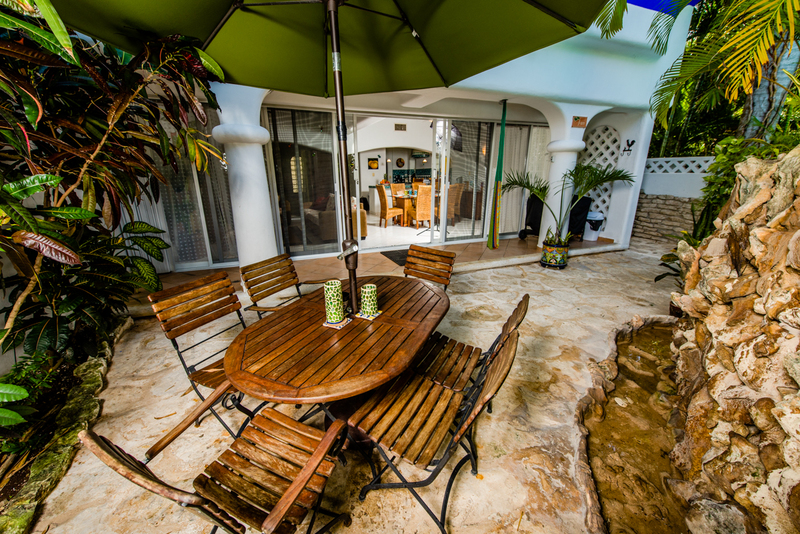 Continue walking through the gardens and out of the gated complex and you are within a few steps of one of the best beaches in Playa del Carmen. 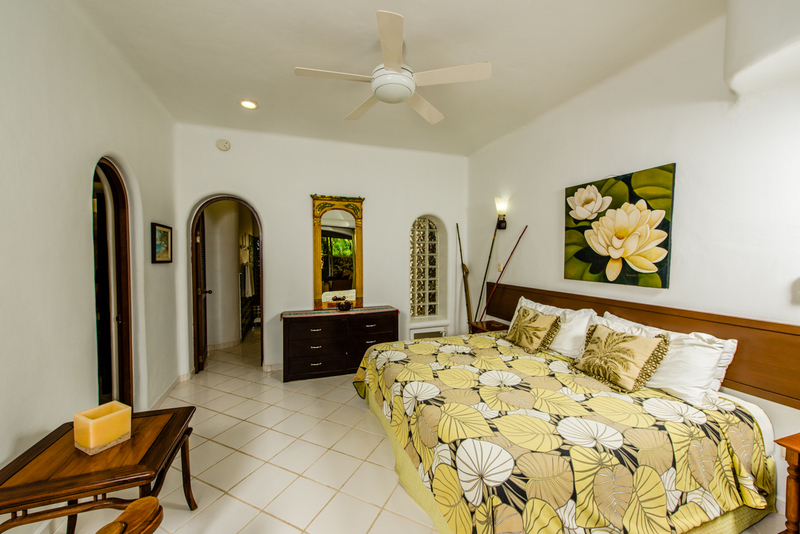 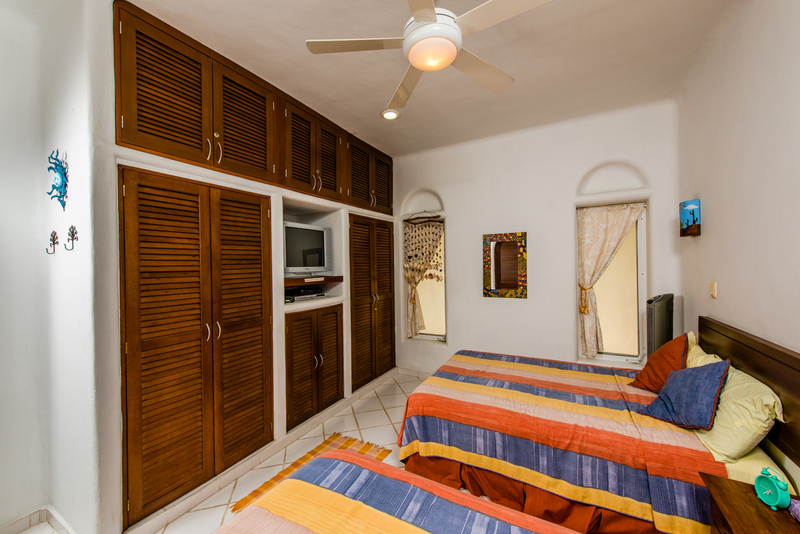 The master bedroom is equipped with a king size bed, walk in closet and ensuite bathroom/shower. 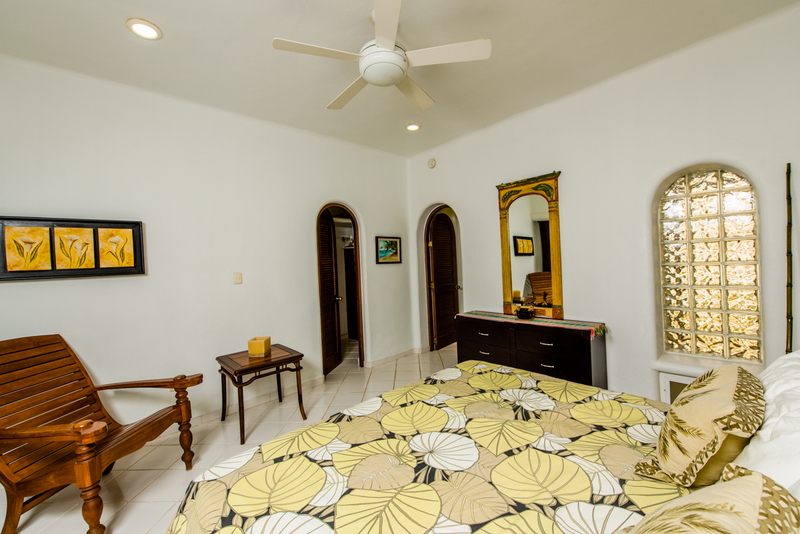 The second bedroom contains two double beds and also has an ensuite bathroom/shower. 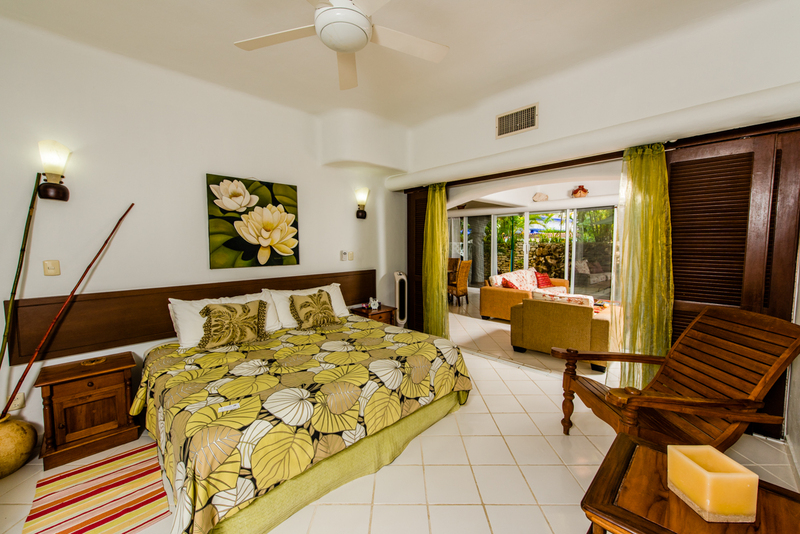 Sleeping accommodation can be up to six people. 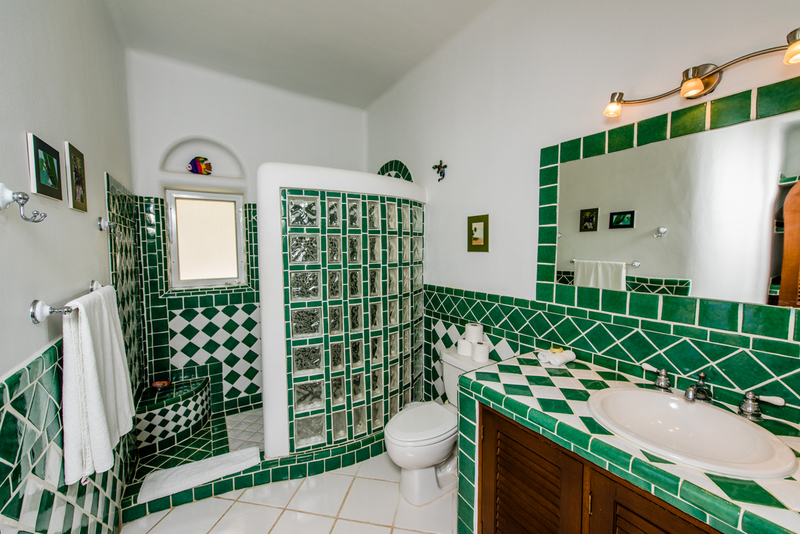 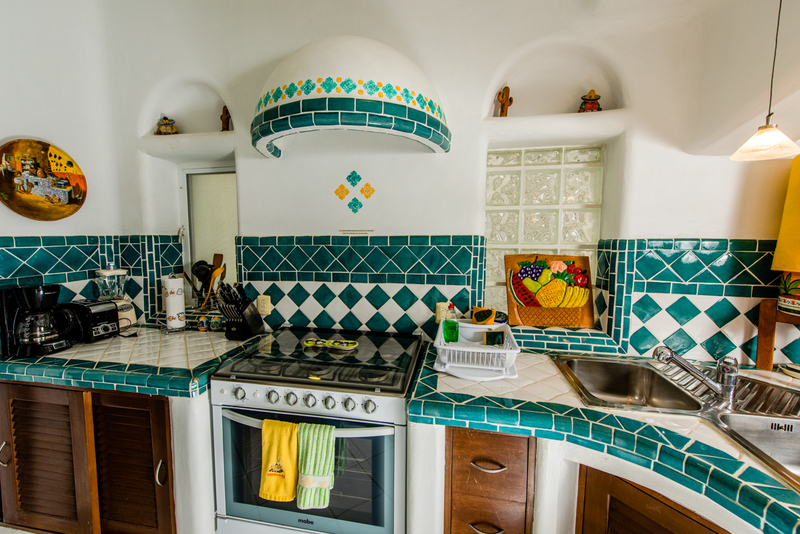 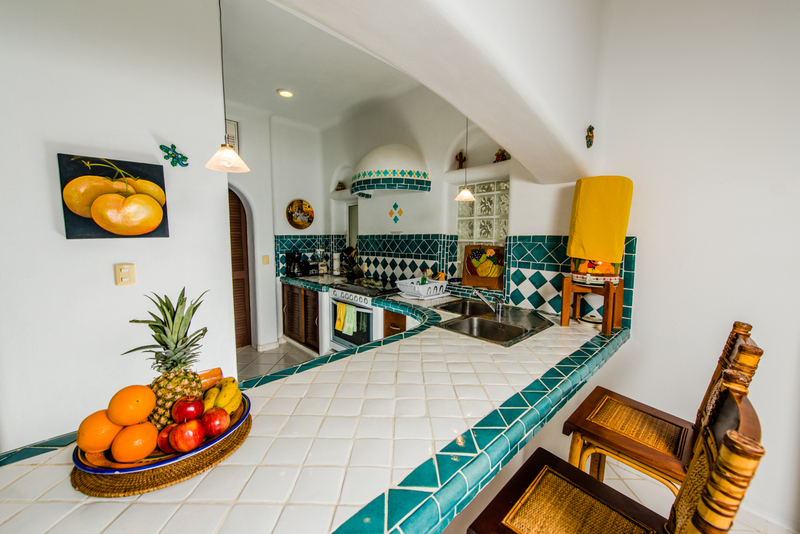 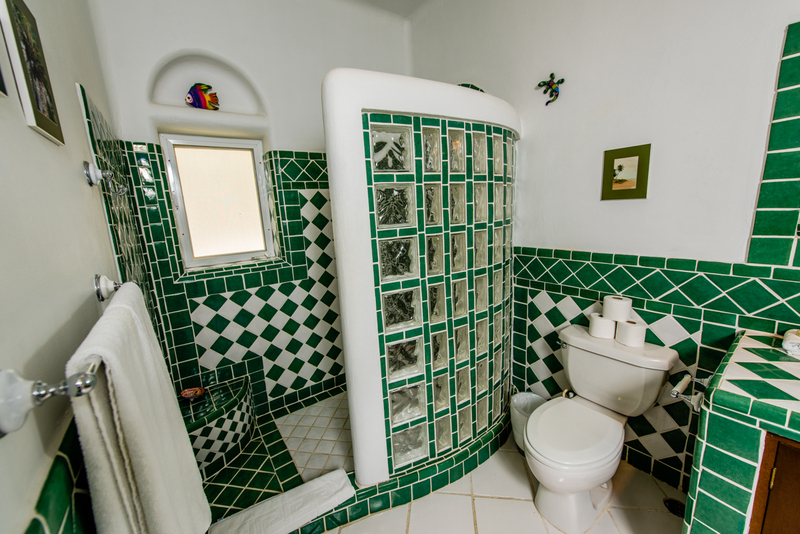 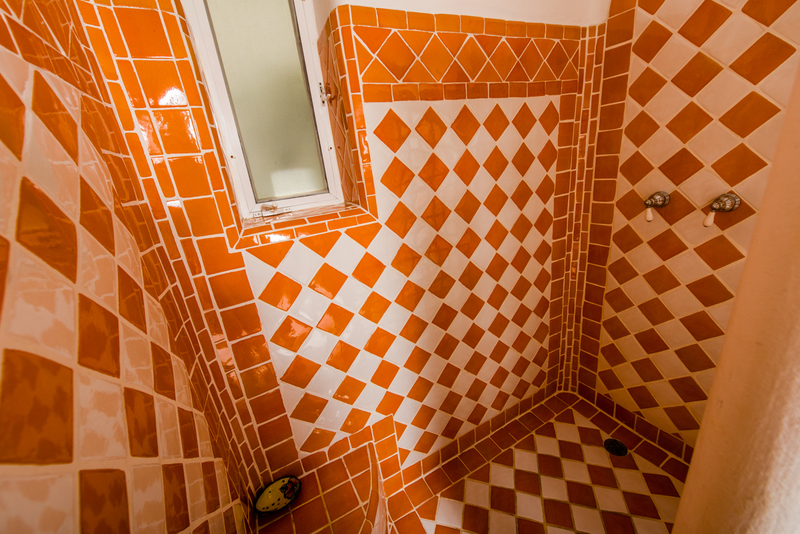 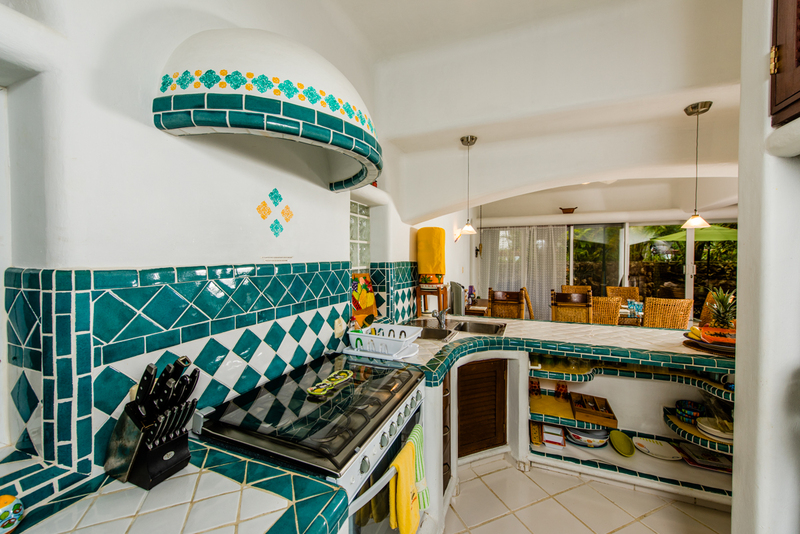 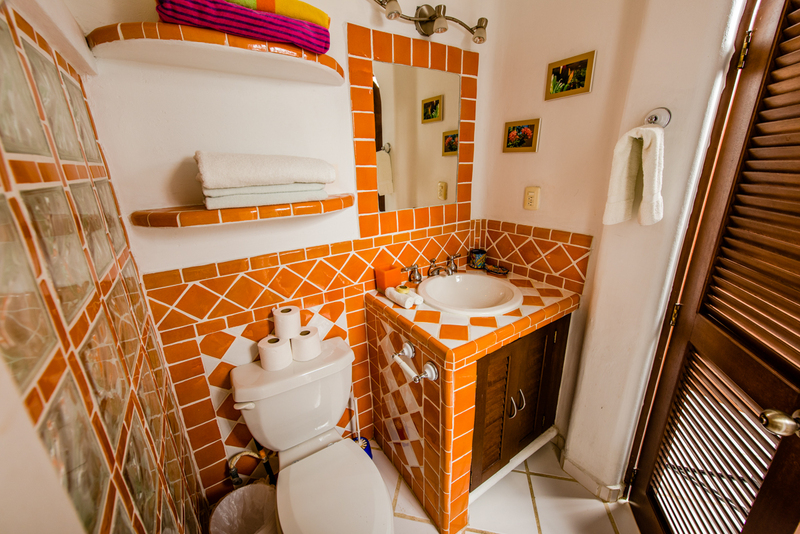 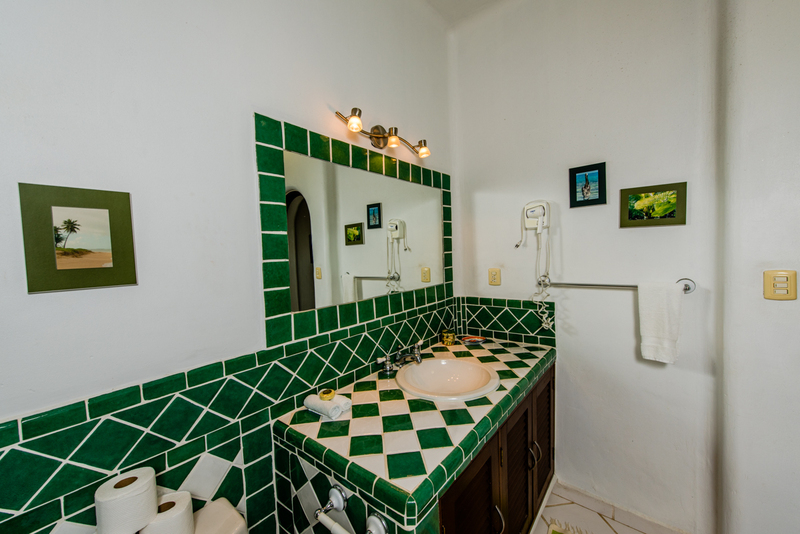 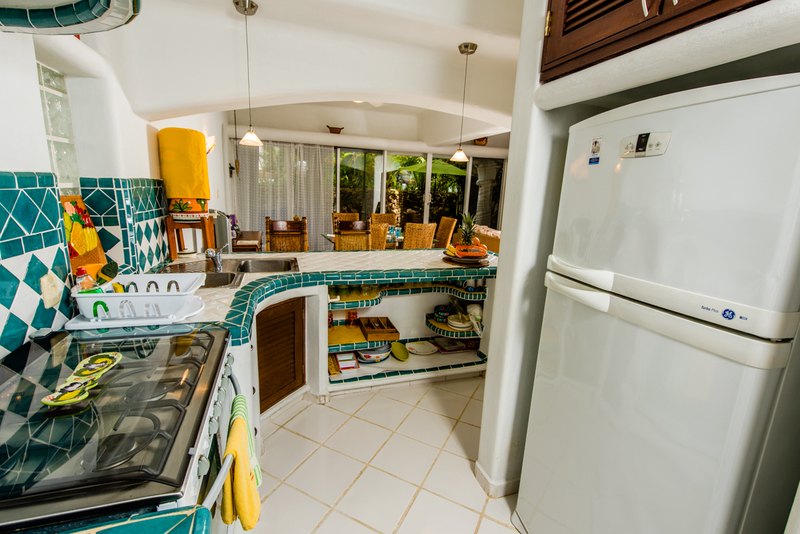 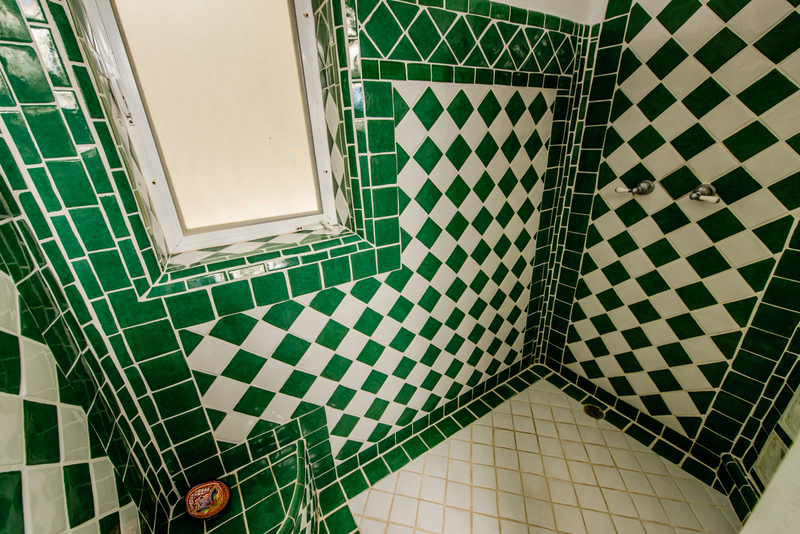 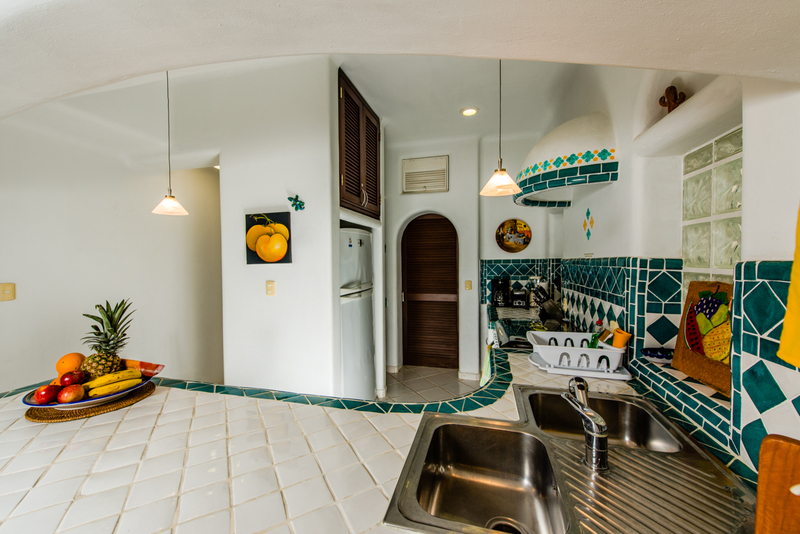 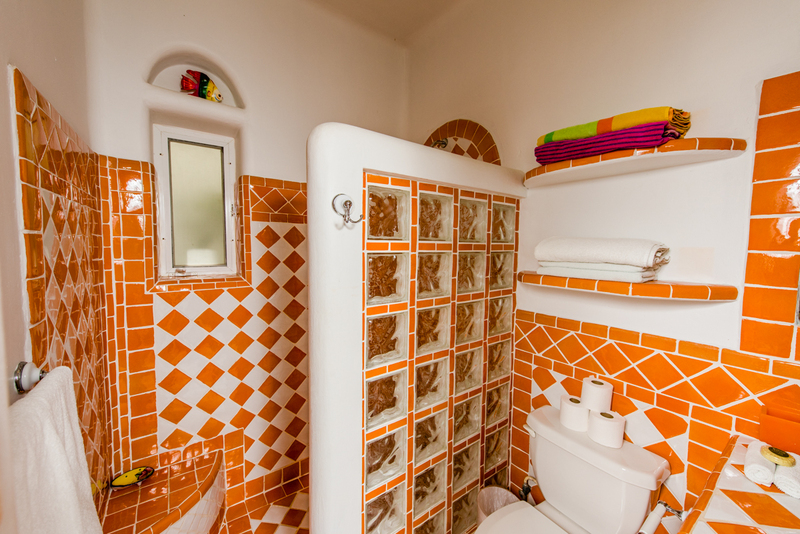 The well equipped, green Mexican tiled kitchen also has an adjacent washer and dryer. 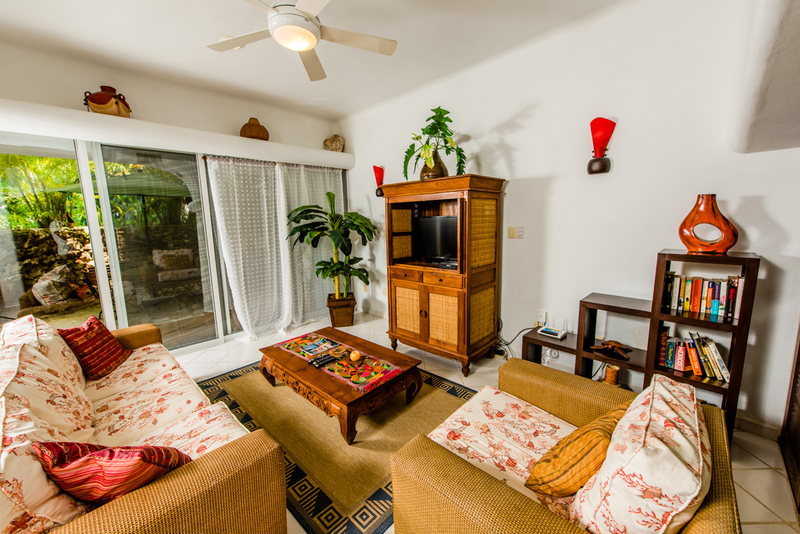 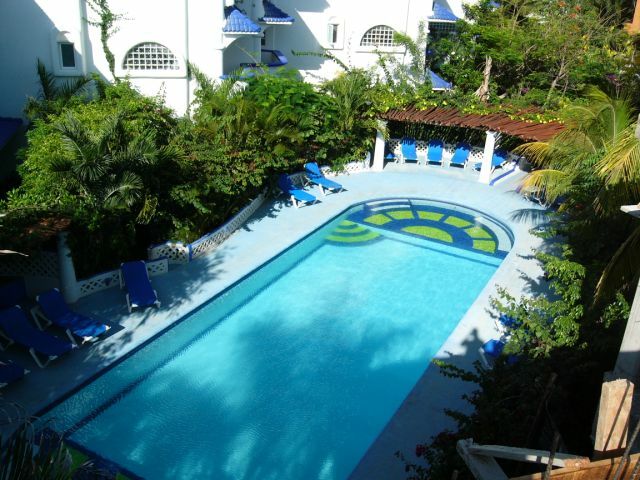 The small (36 unit) condo complex is an oasis of beauty and serenity where one can relax by the pool, or sit on the patio and listen to the birds and the relaxing sound of the waterfalls, as you sip on your cocktail and enjoy your favorite novel. 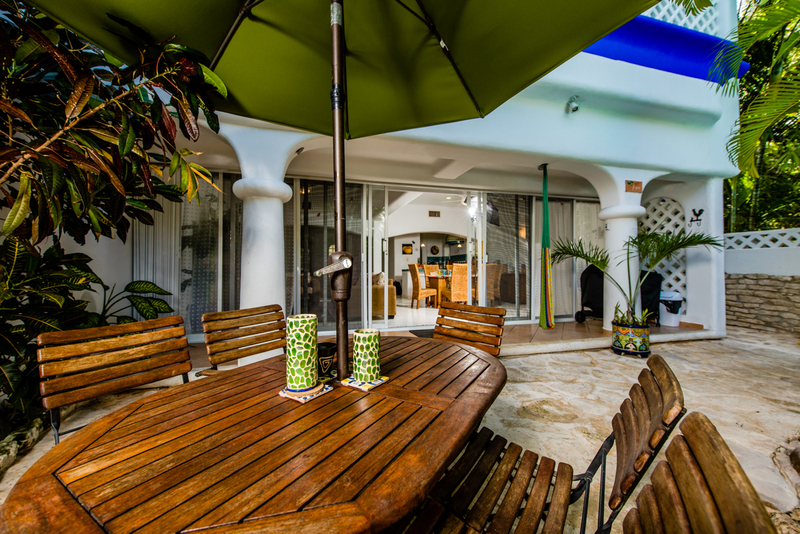 Or for more action, a short ten minute stroll will take you into the middle of Playa del Carmen, on the legendary Fifth Avenue, teeming with modern Mexican boutiques and restaurants that cater to an international clientele. 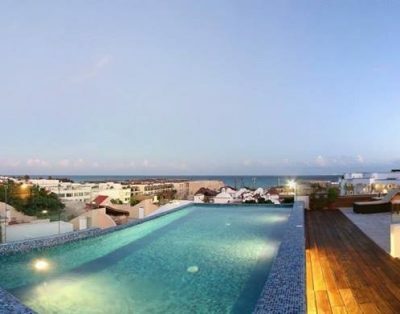 People watching never got better than this!